Augmented reality startup Vuzix has announced a partnership with OnCore Golf in order to bring real-time insights and feedback to wearers of its smartglasses. The pair have indicated that they'll team up to create instructional, educational and entertaining programmes for golfers of all skill levels, whether they're out on the course, on the driving range or even at home. 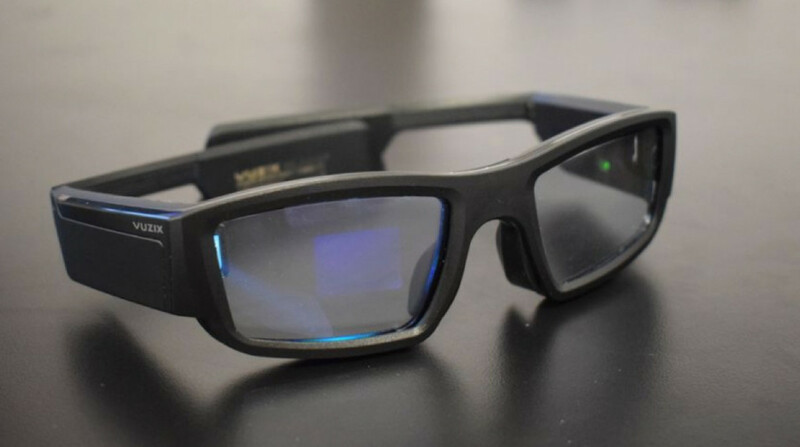 So long as they're wearing the Vuzix Blade smartglasses, they'll be able to tap into the AR elements. The first of these features to land will be an AR golf experience using third-party ball launch systems at driving ranges and practice facilities starting from early next year. And by mid-2019, OnCore is hoping to launch its smart GENiUS ball and pair it with the smartglasses - the result of which will allow real-time AR tracking and analysis software available for golfers out on the course. By using the data and mixing it with a network of professional golf instructors and artificial intelligence, it will even be able to pop up with caddying advice and instructions to help the player. Naturally, there's no difference in how you would go through your round, either, with the ball looking and playing just like your regular Titleist. The difference is that the GPS and sensor tech all sits inside the ball. And with Vuzix's Blade sitting on the more advanced end of the smartglasses spectrum we've tested out, it does feel realistic for the pair to be able to pull off a golfing experience unlike anything we've seen. Will it be just as good in use as it appears on paper? We'll have to wait and find out: it's set to happen next year.